As busy parents, we don’t like to speak with our children about abuse and bullying. We prefer to think it won’t happen to us. We fear what our children will feel or ask. We worry that we’ll say the “wrong thing.” It may remind us of our own upsetting childhood experiences. Yet – we must overcome our discomfort and have these conversations. More than ever before. Technology connects our children with people we don’t know, and allows them to communicate with peers in hurtful ways, learn about scary events while alone, and be exposed to sexuality and violence at ages once incomprehensible. Scandals regarding child sexual abuse (USA gymnastics, Penn State, etc.) and adult sexual assault (#MeToo) are all over the news media. Children don’t understand. They get scared. As parents, we must step in and educate our children. Now. Before it’s too late. The key time is ages 4 to 8. Young children are moving from child-parent joint activities to drop off (birthday parties and play dates). They attend school and day camp. They are very aware of gender and private parts. They can handle this discussion. 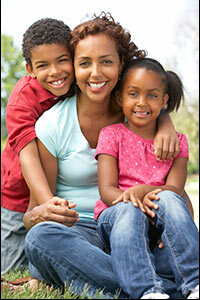 Parents are the best source to inform and model behavior for young children. Our actions, as early as infancy, impact our children’s development and understanding of the ever-expanding world around them. They see or hear about bad things – from their siblings, friends, CNN in the background – but your job is to translate those words and images into lessons they can understand and absorb. These discussions can be awkward. But we must exhibit the calm confidence that we want from children. These conversations will deepen the bond between you, as well. It’s your responsibility to help prevent the traumatic experiences that could haunt your child for the rest of their lives. No family, regardless of socioeconomics or location, is immune. For these reasons and more, Child HELP Partnership has developed a program called Keeping Every Child Safe that provides parents and caregivers the tools to have these conversations – not just once, but as the child grows up and encounters confusing and possibly dangerous situations. Below are the program’s details. And please, to learn more and to get the word out, visit www.childhelppartnership.org.